Contemporary Greece is carrying some serious baggage. It has gained notoriety as the entry point into Europe for refugees fleeing sectarian conflict in the Middle East, its economy is portrayed as a hopeless basket case and its music is seen to be forever locked in Zorba's groove. This negative image is very unfair, and it is doubly unfair because there are some very exciting and original things happening in Greece, particularly on the island of Crete. One of those exciting things is the feisty young lyra player Kelly Thoma, who is seen above with her hopefully airline approved cabin baggage. This rich cultural mix finds expression in surprising ways: in his autobiographical novel Report to Greco Nikos Kazantzakis - creator of that Hellenic stereotype par excellence Zorba - describes how his father's bloodline contained Arab as well as Cretan blood. He goes on to describe how: "My heart bounds with joy whenever I encounter a date tree. You would think it were returning to its homeland, to the arid dust-filled Bedouin village whose one precious ornament is the date tree". In Vienna in 1922 Kazantzakis studied Buddhist scriptures and began a play dramatising the Buddha's life, and writing in Report to Greco Kazantzakis describes how: "of all the people the earth has begotten, Buddha stands resplendently at the summit, an absolutely pure spirit". The wisdom traditions of the East extended beyond Nikos Kazantzakis, and in The Strong Wind from the East Markos Madias describes how Hinduism and Buddhism - particularly Zen - influenced prominent Greek intellectuals of the twentieth century including Nobel Laureate Giorgis Seferis. This syncretic mix is also prominent in contemporary Cretan music thanks to Ross Daly's visionary work. That is Ross Daly in the photo above: he settled in the Cretan village of Houdetsi in 1974 and established the Labyrinth Music Workshop, an initiative dedicated to studying the world’s modal traditions. His instrument of choice is the Cretan lyre; however he is an animateur and teacher rather than celebrity soloist. 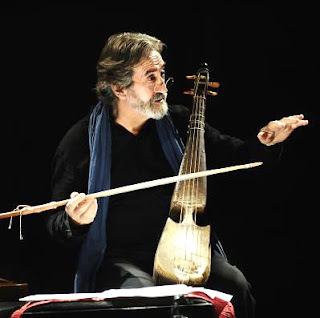 The Cretan lyra is not related to the harp-like Greek lyre of mythology, but is in its traditional form a three-stringed bowed instrument related to ancient Eastern bowed instruments including the rebab played by Jordi Savall on legendary recordings including Orient-Occident - see photo below. Ross Daly is usually described as an 'Irishman', probably because of his penchant for slipping Irish reels into Cretan dances. However, although he has Irish blood, he was in fact born in Kings Lynn, Norfolk; a town with strong connections to folk music via Ralph Vaughan Williams. As a youngster he travelled widely with his peripatetic family, and in San Francisco he first encountered the non-Western musical traditions that were to change his life. He has declared that: "Nationalism in music doesn’t make sense, especially in the region where I live", and he views world music as “an offshoot of the pop music industry with an emphasis on party music”. Over the years Ross Daly has worked and recorded contemporary modal music with many talented young musicians, among them are members of the legendary Chemirani family of Iranian percussionists. A mode is different from the more familiar Western scale: a scale is a set of notes of equal value ordered by pitch, while a mode is a defined melodic pattern with uneven emphasis placed on the various notes within the pattern. Béla Bartók used polymodality derived from Balkan folk music in works such as Mikrokosmos, and under Ross Daly's tutelage a contemporary modal music movement has emerged. Its phrase-orientated non-harmonic music is often based on non-tempered intervals, and it embraces the modal traditions of both European and Eastern countries such as India, Afghanistan, Iran and Turkey. However this new modal music takes a dynamic and evolving view, and makes no attempt to preserve historic conventions, instead preferring to challenge and remould them. As part of this evolutionary process Ross Daly has developed with his pupil Stelios Petrakis a contemporary version of the Cretan lyra that adds eighteen sympathetic (resonating) strings to the three bowed strings, thereby strengthening the instrument's traditional sound using nature's very own amplification. Labyrinth alumni Stelios Petrakis is not only a respected luthier, he is also a virtuoso lyra player who has made a number of acclaimed recordings. 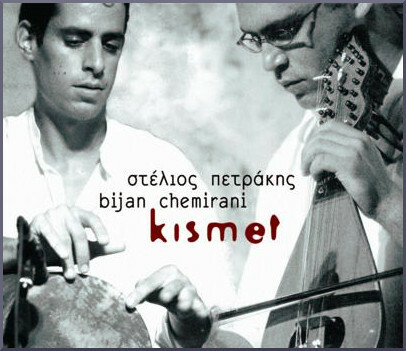 Above is the CD Kismet that he made in 2004 with Bijan Chemirani. 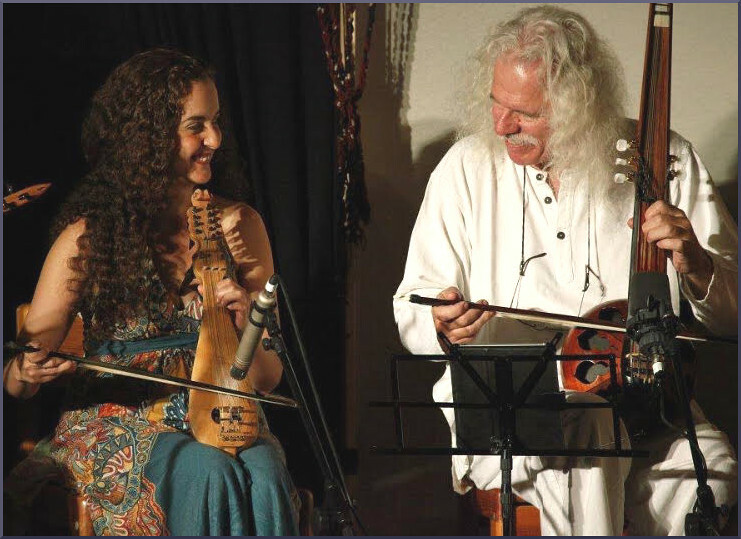 They followed this bestselling CD with Orion in 2008; both albums cross cultural and musical boundaries and their diverse instrumentation includes the ney, the reed flute that provides the signature sound for Turkish Sufi samā. (Samples via these links: Kismet & Orion) The Labyrinth musicians make guest appearances on each others recordings, and Kismet includes a contribution from Ross Daly. 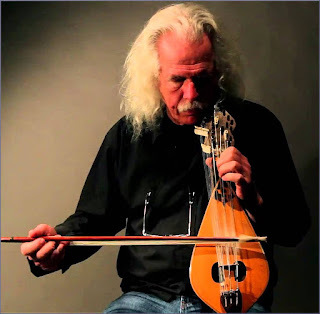 A recent development has been the formation of the Stelios Petrakis Quartet, which is, unusually, an all string ensemble - lyra, bass lyra, lute/mandolin, and laouto (Greek version of oud). The Quartet also incorporates dance into performances: their recommended new CD Avgi includes a DVD filmed at a concert in Heraklion - sample via this link. 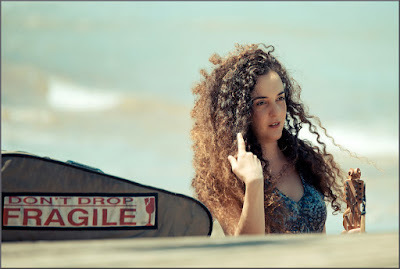 That video shows how the new wave of Cretan music carries the same life affirming message that is found in the symphonies of Nielsen, Martinů. and Dvořák, and in the philosophy of Kazantzakis' Zorba - “Every man has his folly, but the greatest folly of all … is not to have one”. Stelios Petrakis has many strings to his lyra bow. He also owns a small villa complex at Mohlos in the east of Crete; this comprises a recording studio that has been used for a number of the CDs featured in this post, and three luxury villas. When the villas are not occupied by musicians recording in the studio they are available for rental; the villa package includes a PC with a library of music, and guests can make their own recordings for a concessionary fee. With her second solo album Kelly Thoma distances herself even further from the world of Zorba's Dance. 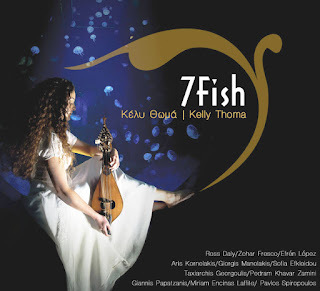 7Fish is a suite of seven pieces inspired by different Mediterranean fish, plus a final meditation on the magical movements of fish enigmatically titled “S”. Kelly Thoma's lyra moves effortlessly from the dark and brooding to the upbeat and exuberant; her extraordinary virtuosity on the lyre is complemented by a stellar line up of eleven musicians including, inevitably, Ross Daly. (Sample 7Fish via this link - if you only buy one CD after reading this article buy 7Fish.) Contemporary global music expands its reach even further in another of Kelly Thoma's projects. Since 2008 she has been a member of the Norway based Tokso Folk Quartet in which her three colleagues play cello, Hardanger fiddle and nyckelharpa - tokso means 'bow' in Greek. 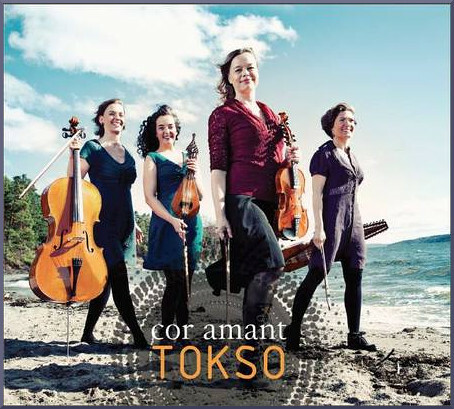 The Quartet have released two albums, the latest titled Cor Amant can be sampled via this link. It is almost certain that the new wave of musicians featured in this article will be unknown to readers*, with the possible exception of Ross Daly. CDs of the new modal music are difficult to find outside Greece** and touring schedules rarely take its exponents beyond their homeland. Which, given the abundance of talent and innovation among these young musicians, is sad but hardly surprising. As Ross Daly explains, world music has become just another market opportunity dictated by fashion, and for too long the world music of sub-Saharan Africa has been in fashion. Another reason why contemporary modal music remains in the commercial wilderness is that, in true Cretan style, it refuses to conform the convenient marketing pigeonholes of world, folk, jazz and art music. Instead it stays true to the non-conformist spirit of Crete's most famous son Nikos Kazantzakis. When The Last Temptation of Christ was published in 1951 the Catholic Church placed it on the index of forbidden books and forbade translations. Kazantzakis was subsequently excommunicated by the Greek Orthodox Church for heresy, and he was denied burial in a Christian cemetery. The final line of the epitaph on his grave outside the walls of Heraklion also applies to the new music of Crete - 'I am free'. * There is a new release titled 'The Art of the Lyra' by Stelios Petrakis and Cretan friends on Radio France's Ocora label that is widely available in Europe. This however focuses on the traditional Cretan style, so is not representative of the new wave of modal music. ** Many of the CDs mentioned in this article are available from the Greek Music Shop in Agios Nikolaos. This has an excellent secure English online ordering facility, and my purchases from the store have arrived faster than those ordered from Amazon's UK warehouse. The owner Panos is exceedingly helpful and knowledgable, and as his wife is English there are no language problems. No freebies or payment received in connection with this post. Header Kelly Thoma photo copyright attributed to Giannis Karnikis - Narcisco Corp. Ross Daly photo via Cyprus Mail. Jordi Savall photo credit David Ignaszewski. Ross & Kelly image from World Music Central. Any other copyrighted material on these pages is included as "fair use, for critical analysis only, and will be removed at the request of copyright owner(s). Also on Facebook and Twitter.